All you need is a Kreg Jig and wood that you want to work on and you are done. A Kreg Jig is so easy to use, just load the wood into the fastener and then drill the holes with a regular drill. No need to measure, no need to make intricate cuts. You will get precise results all the time. Yes, you won’t find another joinery tool that is fast and easy to use. As soon as your holes are ready, just position the two pieces of wood with a clamp or a vise and screw them. A power screwdriver can do this in a fraction of a minute. You can build door frames, window frames and all kinds of wooden furniture without much experience with joining, cutting and measuring. Joining wood for projects like using dovetail joints and mortise and Tenon joints will eat up your time. It takes time to measure, cut, join, finish and fit two ends together and you have never even begun your project! With a Kreg jig, you can start and end as soon as possible and you won’t have to take a day just to join two ends of wood. Possibly the best reason to use a Kreg jig is you can make awesome projects even with very little experience in woodworking. There are tons of Kreg jig projects online and we have 30 of the best ones for you. Take note that these projects are not arranged in a particular manner. There are simple, easy to make projects here like tables, stools and decks and elaborate and more complicated ones too like making forts, play areas and cabinets. And with the right tools, basic knowledge of the best materials to use, you can make amazing projects for your home, office and even projects good enough to sell. Here are our best picks. This is a neat storage solution that can store almost anything. You can stash toys, books, pillows, blankets, school supplies, board games, electronics and more. But storage is just one thing; see how everything is joined together neat and clean? This is because a Kreg rig was used to join these wooden planks together. 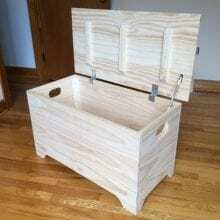 It must have taken the woodworker more hours designing this storage box than making it with easy to use Kreg jigs. The floating shelf on top with a glass jar with flowers seems easy to do when you got the right tools. A Kreg jig will fasten a metal plate that will help keep the glass jar on the wooden plank; it is easy to do with just a few minutes to spare. And instead of placing flowers, you can also use this jar to store other things like coins, keys and more. There is no need to use any other hardware when you got a Kreg jig. This shoe rack is one of the most useful projects that you can do now with a Kreg jig. The actual shelves are made of wood and are joined to the large wooden panel with secure and easy Kreg Jig joinery. Let this shoe rack be your inspiration. 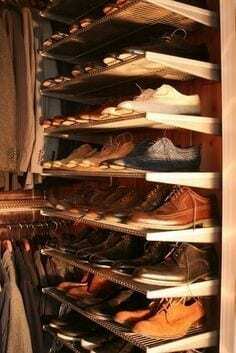 You can make larger racks for more shoes or why not make a wardrobe closet while you are at it? Remember it will only take you a few minutes to join everything when you got a Kreg jig. Now this is the perfect and basic example of how a Kreg jig is used. As you can see, this joinery can easily fasten frames together and this will work for all kinds of wooden doors. You can make cabinet doors, bedroom doors, closet doors and kitchen doors in a snap. No need to make intricate sections and make time-wasting measurements when you use a Kreg Jig. You can make a dining table using almost any kind of joining technique but not as fast as a Kreg jig. Once all your table sections are ready, simply join each one with Kreg jig joinery equipment and you are done. As you can see, all that needs to be done now is to sand the pieces down and add varnish. Kreg jig joinery will save you time and effort and you can finish a number of projects in less time. 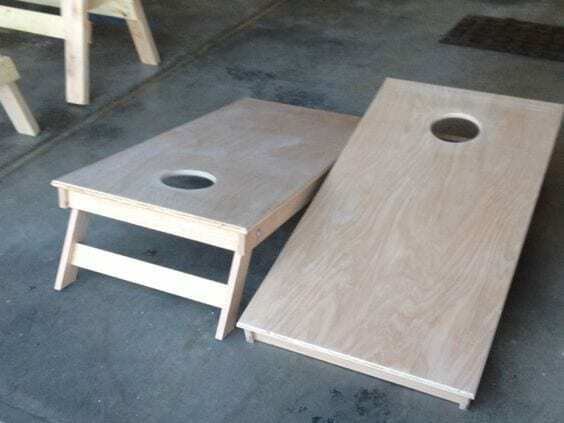 These are corn hole boards and are used as outdoor play sets. What happens is you throw corn or any kind of object inside the hole from a distance. Add another set of feet on the other end of the board and you got a breakfast in bed tray. You can paint this down or simply add varnish and dry these out in the sun. What’s great is that these were made using Kreg Jigs which could have taken more time to cut and measure than to join the pieces together. you will find other fun projects like shuffle boards, chess boards and tic tac toe boards easy to do when you join your pieces with a Kreg jig. Got a few pieces of wood planks? Why not make a cool dog bed? Simply cut the pieces according to the size and specifications of your dog bed sand the pieces together and then use the Kreg jig joinery system to join the planks together. It won’t take hours to make a bed for Fido and as you can see here, an old cushion completes the dog bed. your furry friend won’t have to sleep in the floor anymore. Now this is a splurge woodworking idea for your dog. This wonderful dog mansion is made entirely out of wooden planks and is joined together with Kreg jigs. With this joinery, you can make a dog house, a stairway and even a second floor for Fido. You will find it easier to do add more accessories and parts for your project and with every section you add, you won’t have to spend so much time to do it with a Kreg jig. A part of a huge kitchen overhaul is adding a kitchen center island and even a chopping or butcher block. This chopping block is obviously made of several pieces of wooden planks which have been joined together with a strong and reliable Kreg jig. Simple wood glue and framing would simply not suffice if you are planning to connect this much wooden planks. A Kreg jig will “sew” all these pieces together and then placed on top of a frame to complete the butcher block. 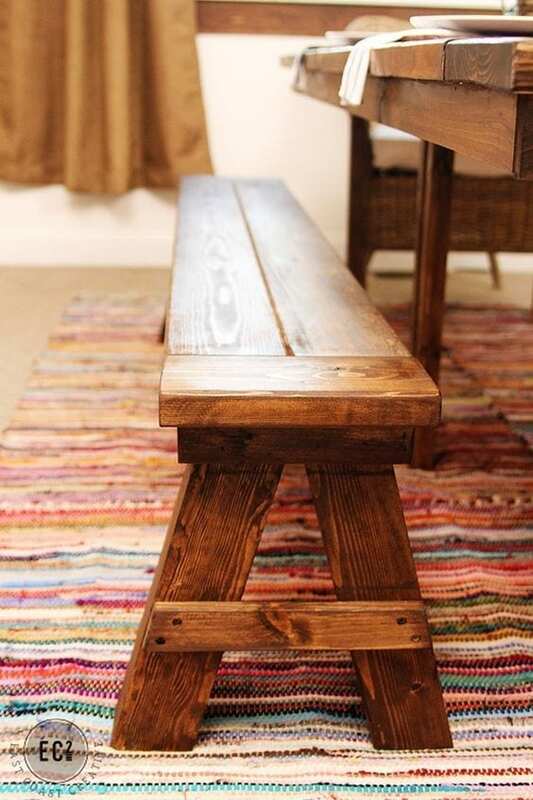 This is a simple bench that has been created from recycled wood. Obviously the pieces were cut and joined together with a secure Kreg jig and then finished with a generous coat of varnish. But the varnish only resurfaced the wood’s natural grain and the finished product is a bench that looks like a piece of furniture that has seen years. 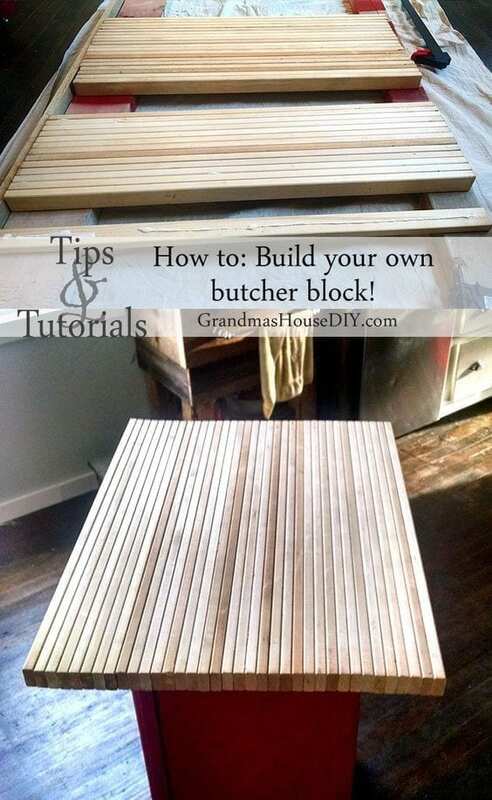 This is a relatively easy project to try and you can use this as a template to create more complicated bench designs. What a pretty breakfast nook! 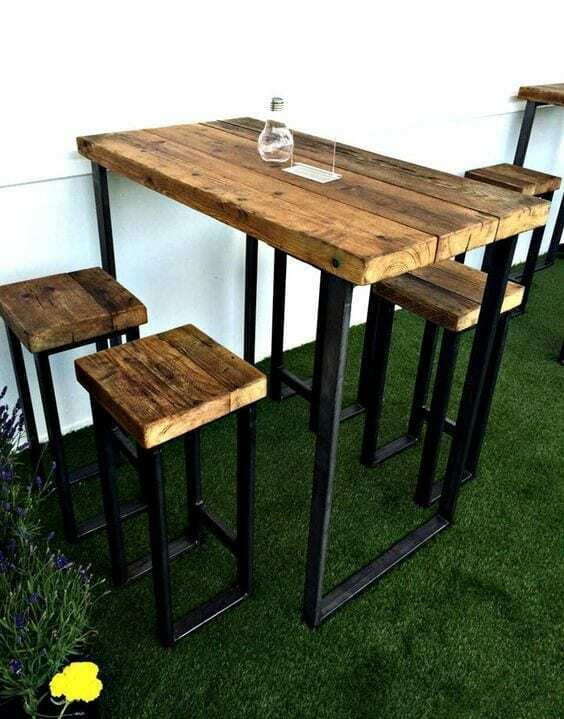 Recycled wooden planks were used to make the table top as well as the top part of the stools; these use metal frames for the table and chair feet. With the right hardware and the best tools, you will surely be able to make one, two or even three sets of this lovely dining furniture. And of course, you can see that wooden planks here have received a shower of varnish highlighting the natural grains of wood to be clearly seen from the surface. This is one of the easier Kreg jig projects that you can try and what’s great is that you will be able to finish a project in just a few hours. 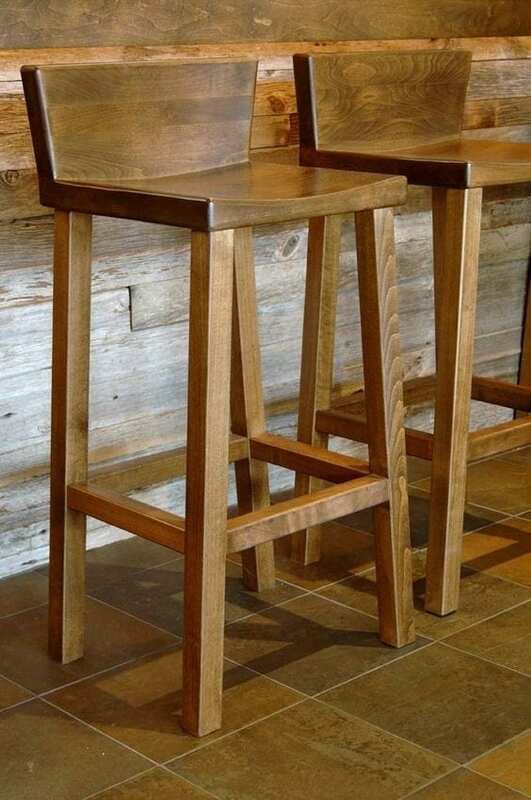 This stool has a basic design but take note that the seat has been curved slightly to accommodate the user’s bottom. There is just enough space to place the feet near the floor and a short back makes a seamless and clean design, Kreg jigs could make this kind of quality projects easy and again you don’t have to use complicated joints and techniques to complete. This stool has a basic design but with a few creature comforts added. The seat receives a soft padding with a plaid cover. This stool is practically a chair only with an elevated design. the legs and all other stool pieces have been fastened together using a Kreg jig while the top part of the seat may be temporarily place on top in case the seat cover has to be removed for cleaning. 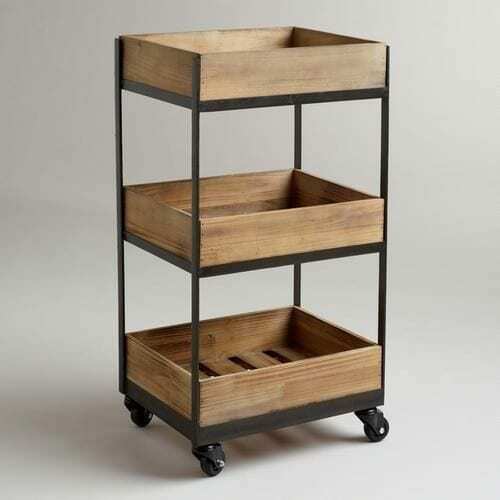 Whether you are planning to start a fruit stand or a produce store, this small cart can do wonders for your storage. 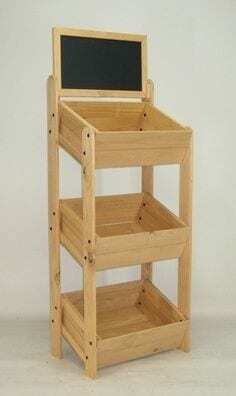 This 3-level cart can hold fruits on the top part while the bottom shelves can hold veggies and herbs. Too bad there are no wheels on this cart so it can be removed easily from one space to another. A cute blackboard will announce the price of your wares which of course have been fastened together with an easy to use Kreg jig. Now this is selling produce on a larger scale. This six – level storage system lets you accommodate fruits, veggies and herbs on a grander scale. 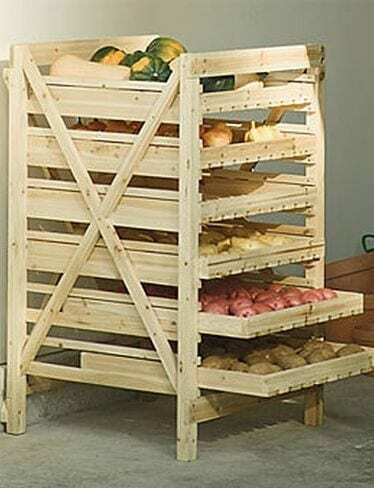 Every shelf is movable so you can check your wares and can arrange your fruits and veggies carefully as well. This convenient shelf has been joined together by a Kreg jig and with a few nails and bolts. As you can also see wood used was recycled wood and received very little finishing. 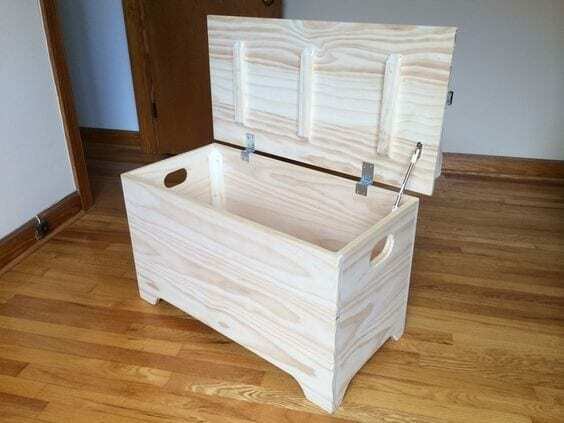 The creator of this project may have taken only a few minutes to work up this project with the use of basic tools and a Kreg jig. Got no space for a garden? 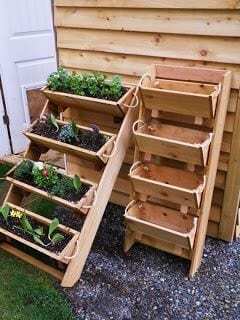 With this cute makeshift ladder/planter you can. As you can see this planer was assembled from left over wood and a Kreg jig. Baskets were used as planters and were arranged in a descending order. What’s great about this planter is that you can start watering the top basket and excess water will simply drip to the next and then to the other. Call it a ladder/planter/fountain which will work perfectly for any backyard or patio. 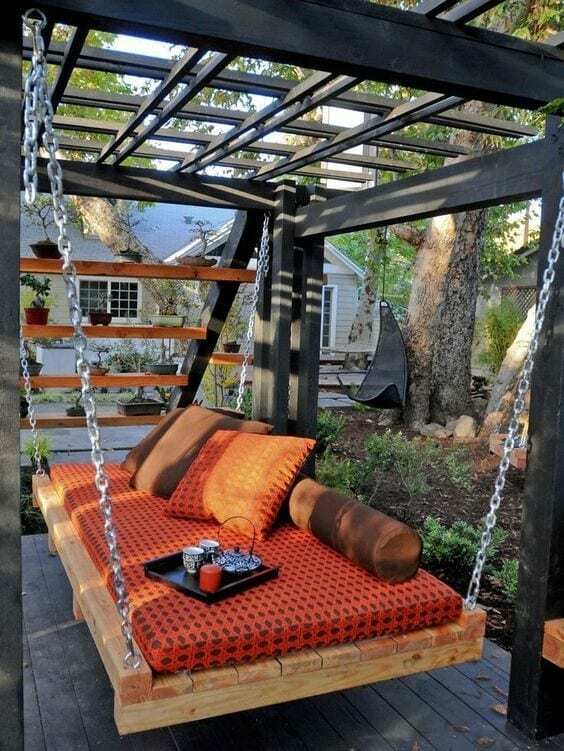 Picture yourself lounging in this awesome patio swing! You won’t just lounge around; you would possibly be sleeping soundly in comfort! The bottom part of the swing has been constructed from pallet wood which has been joined together by a Kreg jig. The pallet frame is sturdy when joined together in an efficient manner. metal chains on each corner, soft cushions and pillows all make this patio swing a delight to stay in. This could certainly be your next woodworking project this summer. Look at this handsome table made of repurposed wood and with a few Kreg jigs to fasten the wood pieces together. the surface of the wood has been carefully sanded to remove old paint, dirt and grime and a light coat of varnish applied to create a soft shine. This piece can be used as a dining room or a formal table for parties and events. No need to place a tablecloth over this table, a simple flower centerpiece will certainly suffice. Floating shelves are popular in many modern homes and it is certainly easy to see why. It is clean, lovely and is easy to create. With just a few pieces of wood fastened with a Kreg jig, you can make floating shelving easily and fast. Just make your measurements and prepare your pieces for Kreg Jig and you are done. Aside from bathroom shelving, you can also make floating shelves for your bedroom, living room or kitchen. These modular patio seating has been completely constructed out of wooden pallets. 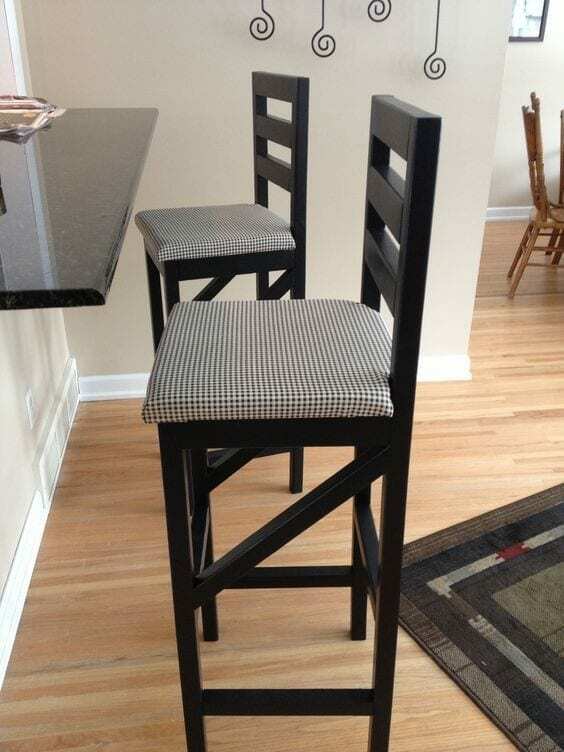 As you can see, the base of these seats is wooden pallets possibly hammered together or a Kreg jig has been used to connect the pieces together effortlessly. The top is soft cushion witch matching seat covers. This amazing design matches the relaxing wooden patio floor which may have also been from wooden planks. The patio is a great place to relax and unwind and with this kind of furniture you will surely spend more time here lounging instead of any other place inside the house. This wooden patio furniture/ lounge chair has been completely constructed from refurbished planks; you can even see previous markings on the wood surface. These planks are held together by Kreg jig joinery and has received only a few finishing treatments. But it finishing does not matter in this project since a soft cushion would probably be placed on top of this lounge seat. Truly a DIY dream. This is a full alley complete with a makeshift line to knock out all the pins. The most amazing part of this project is how well the alley floor was created. After the planks were assembled, the surface was carefully sanded and a tough coat of varnish was added to complete the project. 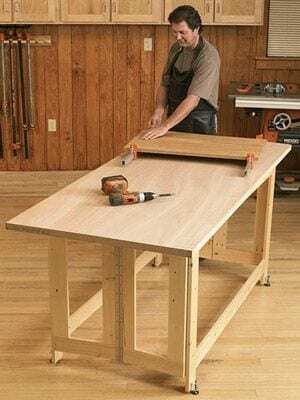 This project is quite complicated to do and may take a lot of time to accomplish but with the use of top woodworking techniques and the right tools and equipment, you will be able to complete it just in time before summer ends. Summer may be about to end but you can still construct this tent out of recessed wood or wooden planks with the use of a Kreg rig. This project is one of the most inspiring as it is cute. 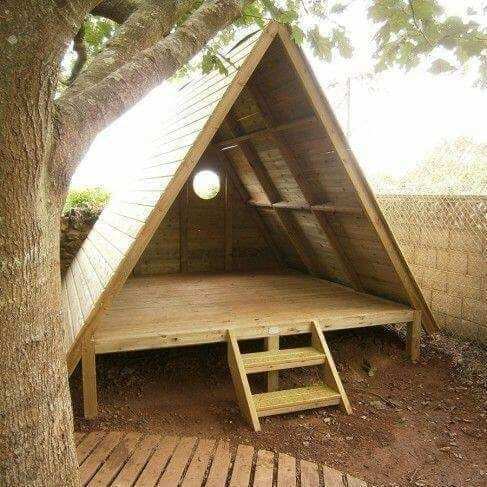 From the roof of the tent to the ladder, this project has been carefully made from pre loved wood but by the time your kids have used this tent, this will be the most-loved area of your home. This will soon be the most favorite place in your home. 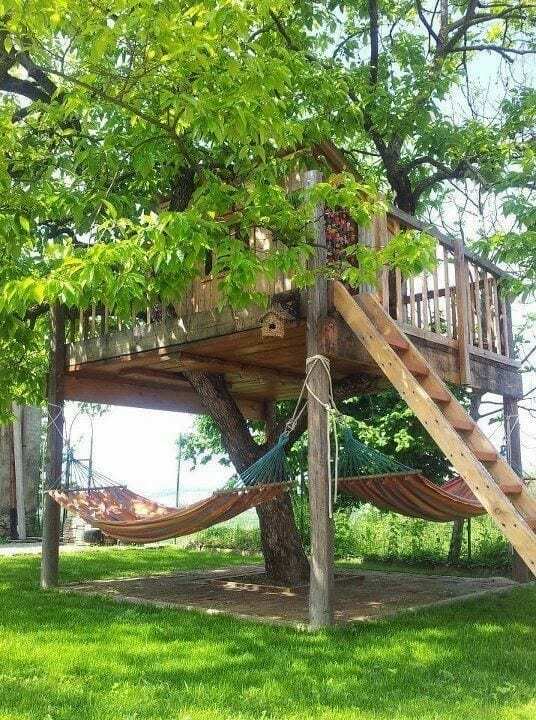 not only is this a tree fort but it is also a tree house/lounging area for adults. The wooden ladder and treetop area are all made form wooden planks and may have been constructed using an easy Kreg jig. This project may be used as a pattern for more complicated tree house and playground projects. 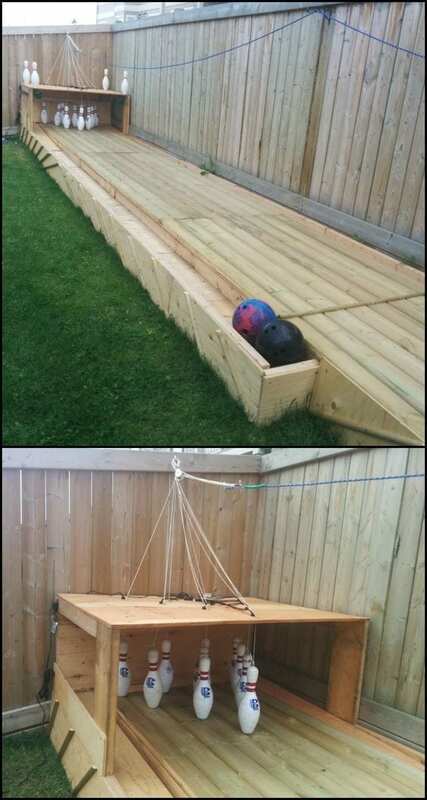 you may add a wooden slide of you wish, two swings and even a sand pit to construct an ultimate play place at home. This could be a place to play or a place to relax and is perfect as a backyard feature and may be constructed for school or at a park. A Kreg jig is one of the most efficient joinery tools for woodworking. It is a tool that will let you work on projects faster, more efficiently and with less stress and worries. Other joinery techniques like the use of a mortise and Tenon joints and the dovetail require very intricate measurements and very detailed cuts. But a Kreg jig will fasten wooden pieces fast and easy. You will save time and will be able to work on other projects soon and will never need expert training to do so. Do you have a woodworking project that you think would be easier with a Kreg jig? Let us know by adding this in the comment section below. And if you like this article, share it with your fellow woodworking friends.